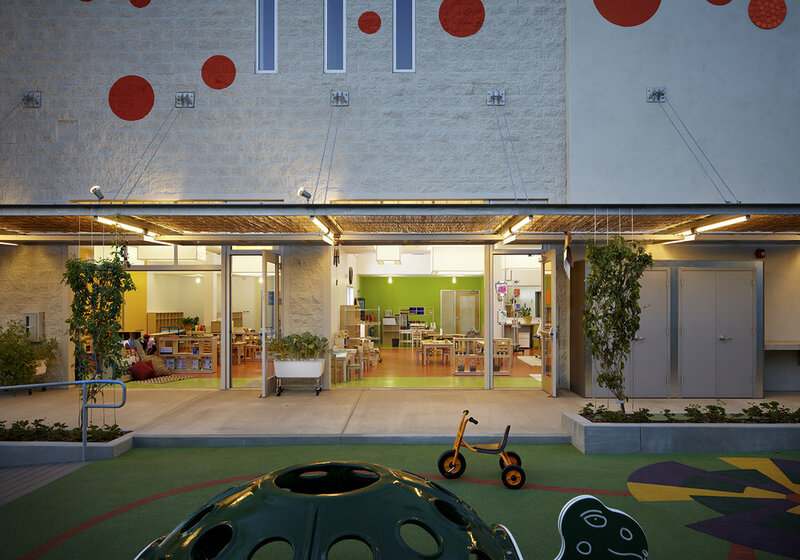 A collaboration between Koning Eizenberg Architecture and Nancy Goslee Power & Associates, the Otis Booth Campus was completed in 2011 and serves at-risk youth and their families. The adjoining gardens and outdoor areas to the 48,000 sq foot building complex create sancutaries for outdoor play and gathering. An allee of orange trees and rolling planters filled with vegetables and herbs introduce edibles into the garden.